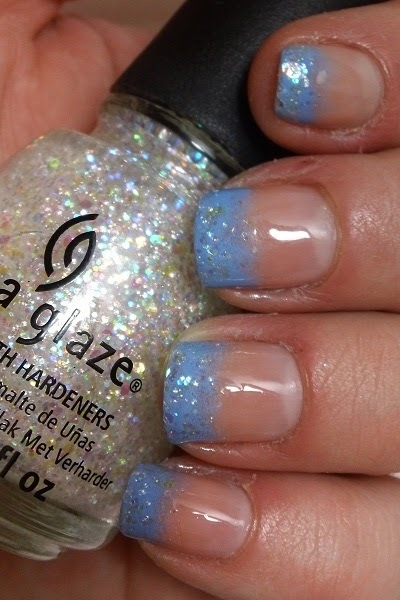 Just Add Polish: Baby Blue and Glitter Tips! Baby Blue and Glitter Tips! It's day 17! Glitter!! I decided I didn't want to full out glitterize, so here is just some nice tips! Sponged Orly's Snowcone, with China Glaze's Snow Globe. Winter much? That all over Essie - Made To Honor. I love it! I will be redoing this mani when my nails are longer, for sure!! Woo Hoo!!! Finally made a blog!